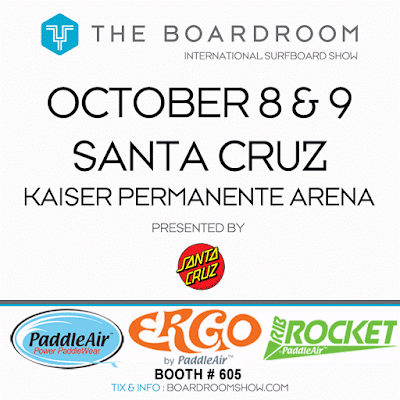 It's time again for The Boardroom International Surfboard Show (formerly Sacred Craft). This year the show moves to Santa Cruz in Northern California. And, once again PaddleAir will be there. Stop by booth #605, meet PaddleAir founder, Dave Hilts ,and check out the latest Ergos and the new Rib Rocket. Try them on, ask questions and learn how they can help you paddle stronger, surf longer, and experience pure rib pleasure. 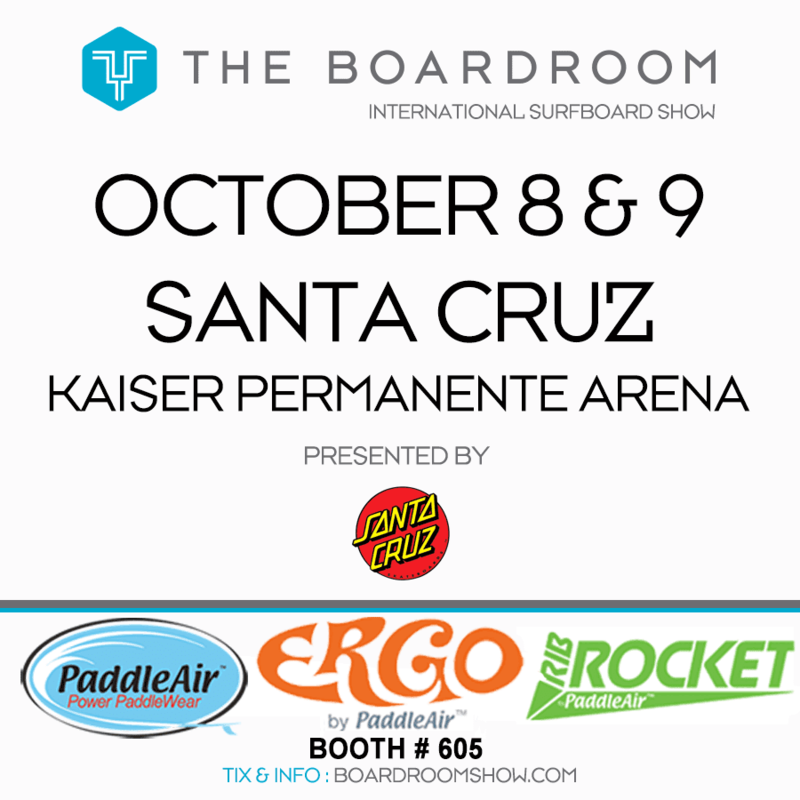 The show is being held on Saturday and Sunday, October 8-9, 2016 at the Kaiser Permanente Arena, located here on the map -- just a few blocks from Santa Cruz Beach. Once there, find PaddleAir inside the arena as indicated below. 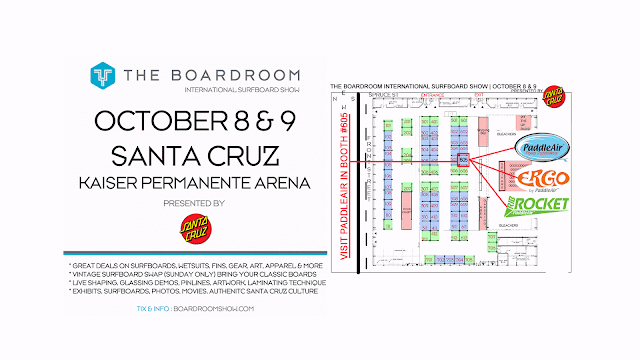 Learn more about The Boardroom International Surfboard Show here.